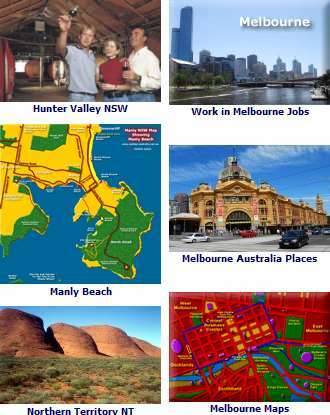 See the museums in Sydney on the Map: Map of Inner Sydney Australia - for attractions go here: All Sydney Attractions. More NSW Museums go here: NSW Museums. Early history of Sydney with displays, photos and artefacts. Sydney’s premier art collection of Australian, European, Asian, contemporary, photographic and tribal art. A fine art museum and exhibition space holding regular art and culture events, displaying famous Australian and international artist’s artwork. Excellent Aboriginal Art Display. Art Gallery Road, The Domain. Situated in Darling Harbour, at the western end of Pyrmont Bridge, this museum highlights the fascination and affinity Australians have with the sea. There is also a large floating collection of craft, from a destroyer to a 1888 racing cutter. Prime resource for historic vessels, migrant ships, family history, genealogy, maritime research, arts and culture, seamanship and much more. Eight Days That Changed the World, an extensive display that shows the meeting between local Aboriginal Culture and the crew of the Endeavour, led by Captain Cook in 1770. There is also info on the delicate wetlands and coastal areas of this region, inhabited by the wildlife that was originally studied by Joseph Banks and Daniel Solander, scientists who accompanied James Cook on his historic journey to chart the east coast of Australia and the South Pacific. Elizabeth Farm was commenced in 1793 and contains part of the oldest surviving European building in Australia. Built between 1835 and 1839, Elizabeth Bay House was described as the finest house in the colony. Government House was constructed between 1837-1845. It is the most sophisticated example of a Gothic Revival building in New South Wales. Hyde Park Barracks, designed by Francis Greenway, was a home to convicts and place of punishment until 1848. Queens Square - Macquarie St.
Near the site where Captain Cook first landed at Botany Bay in Jan 1788 and a day later the French explorer Comte de Laperouse arrived. There are exhibitions and artefacts on Australian history. You can take tours of Bare Island Fort, a defense complex set up to protect Botany Bay from sea incursions. Phone 9311 3379. Open Wed to Sunday 10am to 4pm, except Christmas Day and Good Friday. Located in the Rocks, this museum offers work by contemporary Australian artists from television, film, video, laser, paintings, sculpture and other forms of visual expression. Great cafe and gift shop. Phone 02 9241 5892 Open 11am-6pm daily. Guided tours 12pm, 1pm and 2pm daily. Bookings Phone 061 2 9252-4033. Meroogal, in the South coast town of Nowra, was built in 1885-1886. This delightful timber house, with its "gothic" trimmings, is a charming testament to early days and early ways. By guided tour only. Tours depart on the hour. The Museum of Australian Currency Notes has exhibits and displays of the currency notes that have celebrated and made their mark on the history of the country. They include notes from the beginning of the Australian colonial history all the way through to today’s advanced polymer ones. No free samples but an interesting take of this nation’s story. Fire is dangerous yet essential to our lives. Explore the fascinating history of fire fighting and the modern impact of fire in the home and the environment. They even have a Junior Firefighters Training Area for the Kids! Open from 9.30am to 4.30pm seven days a week. Phone +61 2 4731 3000. On the banks of the beautiful Nepean River, the gallery boasts beautiful gardens, restored historic buildings and a wonderful collection of Australian art. Formerly the home of sculptor Gerald Lewers and his wife Margo, an abstract painter. The existing circa 1901 farmhouse, its property and art collection were bequeathed to Penrith City in 1978. The Quarantine Station was built in 1832 to help prevent the spread of epidemics. Besides the historical buildings, there were some very beautiful rock engravings created by some of the early residents of the facility - and a lonely graveyard for those fortunate as to survive the long sea journey only to die from sickness here. Bookings are essential. Tours depart from the entrance of the Quarantine Station on Mondays Wednesdays, Fridays and weekends at 1.15pm. Rose Seidler House, built between 1948 and 1950, is one of the most uncompromising modernist houses in Australia. Rouse Hill was established by Richard and Elizabeth Rouse in 1813 and has been in use by six generations of the one family. Guided tours only. Bookings essential. Built in 1844, Susannah Place Museum is a row of four terraces that incorporates a turn-of-the-century corner store. Rare in the city of Sydney, it has a continuous history of domestic occupancy by working class families. Australia’s largest collection of operating heritage ships and boats. The Sydney Heritage Fleet’s mission is to acquire, conserve, restore and operate heritage vessels and artifacts with a significant maritime background. You can also cruise on Sydney Harbour on one of their historic steamers, or sail on board the square rigged tall ship James Craig out on the open ocean. Historic Sydney Observatory is a museum about astronomy and its history. Our regular program of exhibitions, films, talks and night viewings gives you a glimpse of the history of astronomy and its history. Complete with state of the art 16 inch Telescope and a Planetarium. Shoot through on a Bondi tram! or Take the tram with PARKLINK to the Royal National Park! Australia’s oldest tramway museum (founded in 1950) and the largest in the southern hemisphere. The Australian Museum is rated as one of the six best natural history museums in the world. Experience the exhibitions covering Aboriginal Australia, rituals of the human life cycle, mammals and a host of curious and interesting items. The Museum was established in 1827 and is Australia’s first museum, with unique and extensive collections of natural science and cultural artefacts. The Justice & Police Museum features a Magistrates Court, a recreated police charge room and remand cells, a gallery of mug shots of Sydney’s early criminals and an array of spine chilling weapons. Cnr. Albert & Phillip Sts. The Mint, constructed between 1811-1816 as the southern wing of the Sydney Hospital, is one of the oldest extant buildings in central Sydney. A Mint was established there in 1854. The Museum of Sydney is an imaginative museum offering the visitor a journey of discovery and wonder through Sydney 1788 and beyond. Corner Bridge and Phillips Streets, Sydney. The Powerhouse Museum is Sydney’s largest and most popular museum. Home to Australian culture and history, the Powerhouse is the perfect place to get a comprehensive insight into this rich and diverse country. Visit the Museum to find out about all things Australian - explore how Australians live, work and entertain themselves, find out about Australia’s notable record in research and innovation and discover the contemporary voices of Aboriginal and Torres Strait Islander cultures. The Powerhouse Museum is a modern, vibrant organisation with over 25 exhibitions on at any one time exploring an amazing array of phenomena to excite visitors from all over the world. More than 250 interactives bring the Powerhouse Museum to life for thousands of people each year. Touch screen computers, audio phones, science experiments and hands-on fun are guaranteed to delight children and adults alike. An ever-changing program of temporary displays complements a range of permanent exhibitions, and regular demonstrations, performances, workshops and other special events are presented throughout the Museum. The Museum is ideally situated in Darling Harbour, Sydney’s prestige waterfront location, and is close to the CBD and many other fantastic Sydney attractions. Easily accessible via the Metro Monorail, one of only a few above ground rail systems in the world that operates through the heart of a major city, the Museum also provides several language guides to ensure maximum enjoyment for all. Whether its vegemite, Holden cars, didgeridoos or traditional bush kitchens you’re interested in, the Powerhouse Museum is a must-see for all international visitors. The Sydney Jewish Museum provides visitors with experiences and understanding of the events of the Holocaust by allowing them to meet, in a dignified and moving environment, those who were involved. The museum also deals with Jewish life from the first days of European settlement in Australia. Phone 02 9360 7999 Open Mon to Thurs 10am - 4pm Fri 10am - 2pm Sun 11am - 5pm. At the Toy & Railway Museum they have world-class displays of classic toys and trains, including Barbie, Popeye, Alice in Wonderland and others. Housed in an historic early 20th century mansion filled with interactive displays and picturesque scenes. The mansion itself is set in set in a lush 12 acre award winning garden. The gardens have grand views of Jamieson Valley in the Blue Mountains. Vaucluse House survives as one of Sydney’s only 19th century harbourside estates with house, kitchen wing, stables and outbuildings and is still surrounded by 12 hectares of formal gardens and grounds. Perfect for picnics.